Passionate about plants? So are we! Costa Farms is a wholesale grower that discovers, develops, and grows plants for your home and life -- indoors and out. We’re your online gardening resource for plant info and inspiration. Our articles, blogs, tips, and photos help you use plants to beautify your living spaces and enhance your life. Download our free idea book to receive tips, ideas, inspiration, and orchid pictures fresh from our team. 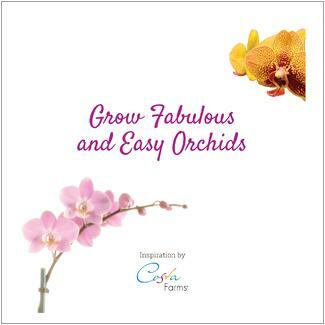 This idea book is sure to help you grow the healthiest and most gorgeous orchids you've ever seen. Download our free, photo-packed idea book now to tap into the years of experience our Costa Farms orchid growers have to share. Plus, our stylists offer ideas on how to display orchids!